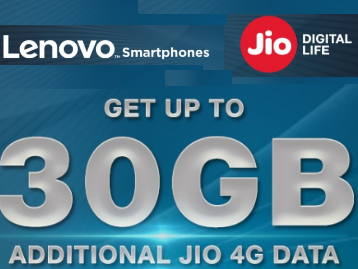 “Eligible Device” shall mean the mobile devices of Lenovo India Limited (“Lenovo”) brand viz (a) A7700, (b) A6600, (c) K5 Plus, (d) K6 Power, (e) K6 Note and (f) K5 Note, where the services of RJIO are activated for the first time, on or after August 11th,2017. “Entitlement Period” shall mean the period between August 11th, 2017 and March 31st, 2018. On any Eligible Device, the Additional Data Vouchers, can be availed for a maximum of six(6) Recharges, during the Entitlement Period of the Offer. The Offer shall be open to all Eligible Subscribers on and from August 11th, 2017.